In late 2018, the Child Care Benefit and Child Care Rebate were replaced by the new Child Care Subsidy. The new child care package includes changes to the annual cap. For families, these changes mean child care is more affordable and accessible for most families. What does the Child Care Subsidy mean for families at St Nicholas Early Education Raymond Terrace? The daily fees before the Child Care Subsidy at St Nicholas Early Education Raymond Terrace vary depending upon the age of your child. While the cost of child care can seem daunting, all families whose household income totals less than $350,000 per year are entitled to receive a rebate under the Child Care Subsidy. To determine how your family would benefit under the Child Care Subsidy, try Centrelink’s Child Care Subsidy Calculator. 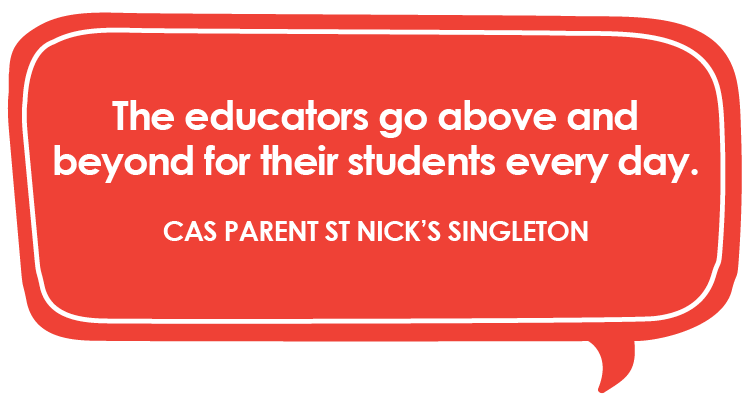 At St Nicholas Early Education we are committed to fostering a positive and collaborative relationship with families and that relationship begins before you even enrol your child in one of our early education centres. Our Billing Officer, Joanne, works with families to to help navigate the Child Care Subsidy to ensure they are receiving the full benefit of the new child care program. The assistance Joanne provides doesn’t end there. Joanne is only a phone call away when it comes to answering billing and account questions. 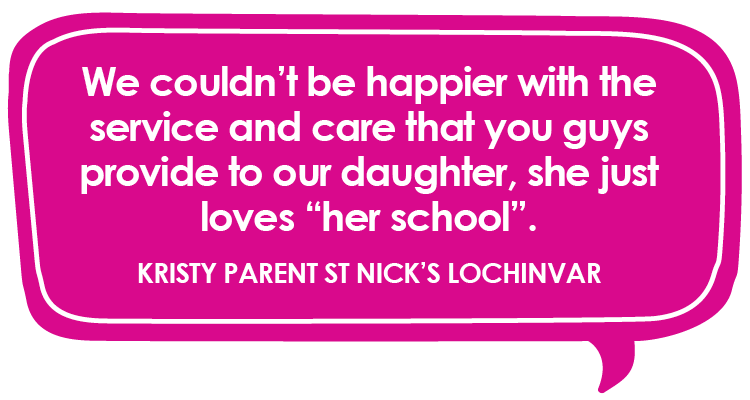 The level of support Joanne offers families was one of the main reasons Todd Dagwell, father to Zara - a child enrolled at St Nick’s - chose St Nicholas Early Education. “We were particularly impressed by the level of assistance St Nick’s provided with the new Child Care Subsidy,” Todd said. 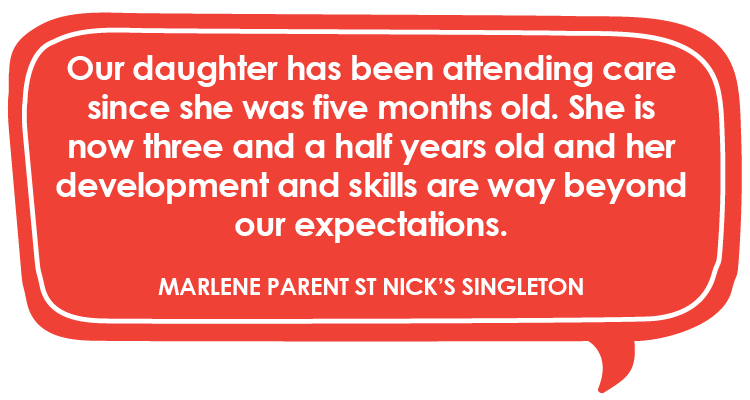 Lizzie Snedden, mother to Archie, chose St Nicholas Early Education as an investment in Archie’s learning journey. In the video above, Lizzie explains how the Child Care Subsidy makes attending St Nicholas Early Education affordable and the premium education experience offered in our centres accessible to families throughout Raymond Terrace. If you would like to learn more about enrolling your child at St Nicholas Early Education Raymond Terrace, please contact us here. You can also follow along with our Raymond Terrace centre on Facebook, Instagram and YouTube.